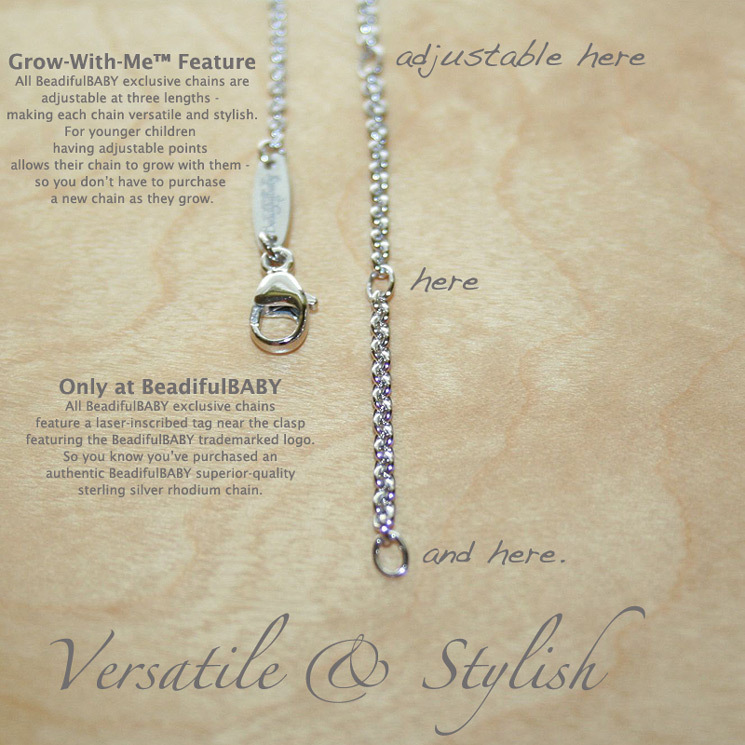 We use our superior-quality sterling silver rhodium plated Grow-with-Me™ chains to make our BeadifulBABY custom necklaces. They are also available for individual sale. These cable chains are thick which makes them strong. 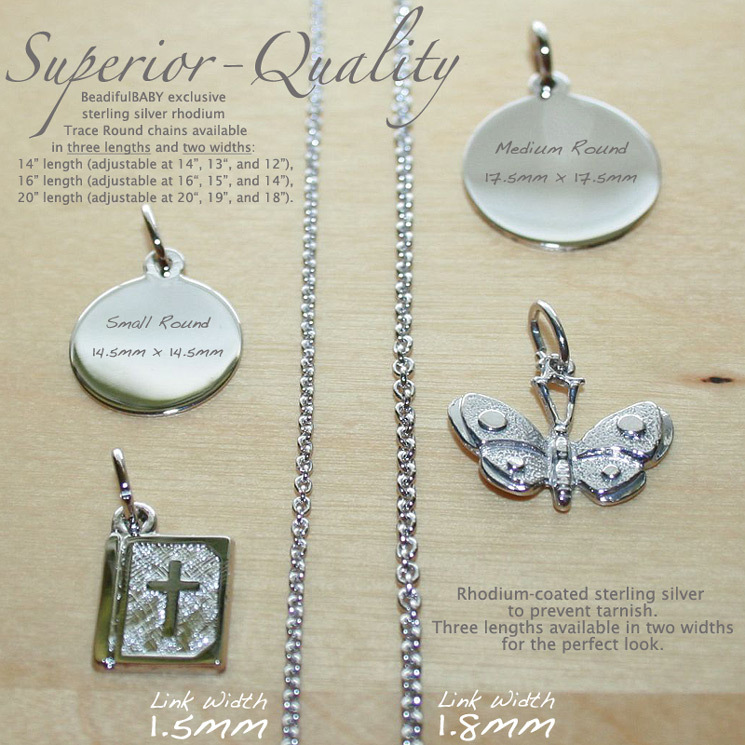 Each necklace is a thing of beauty in itself, and will stay that way thanks to the rhodium plating over the sterling silver that prevents tarnish. Made specifically for BeadifulBABY by German craftsmen. These are exclusive to BeadifulBABY.com - You will not find them offered anywhere else!